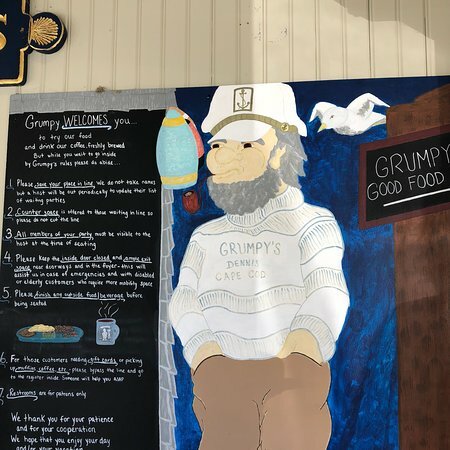 Whether you are looking for the traditional breakfast fare of scrambled eggs and toast, want to create your own Omelette with spinach and feta, or are in the mood for a gourmet breakfast of Eggs Benedict, Grumpy's is the perfect place to go. We serve only Grade A farm fresh eggs, always cooked to order. 3 Eggs, toast, bacon, sausage and your choice of home fries, beans or hash browns. One egg, with cheese on an English muffin with bacon, sausage or ham. 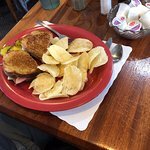 served with your choice of home fries, baked beans or hash browns. choose from the traditional classic combination, or try eggs Benedict with a twist. all Benedicts are served with your choice of home fries, baked beans or hash browns. 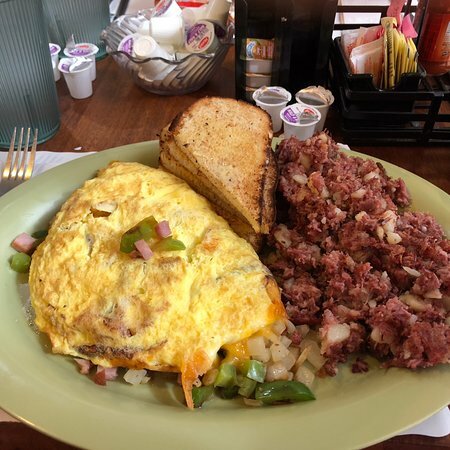 The omelettes are created with three eggs and cooked to order. Looking for a sweet breakfast treat? Try our banana split waffles! 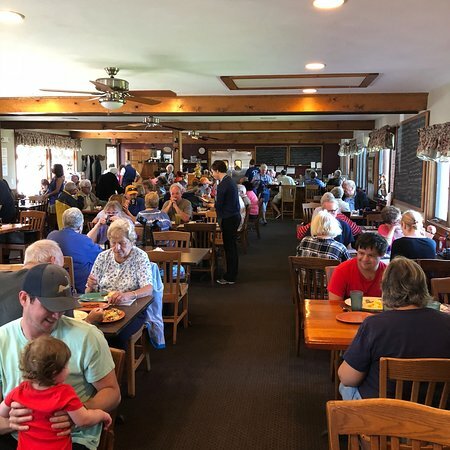 We also have homemade buttermilk pancakes, Texas style French toast and waffles that can be smothered with maple syrup, a pat of rich butter or served with your choice of fresh fruit and whipped cream. 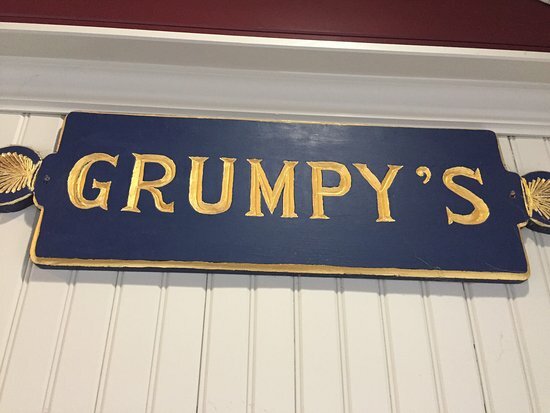 at Grumpy's you're sure to find a great pancake breakfast to start your day. Choose your own pancake: blueberry. cranberry, apple, banana or chocolate chip. Are made with only the highest quality ingredients. 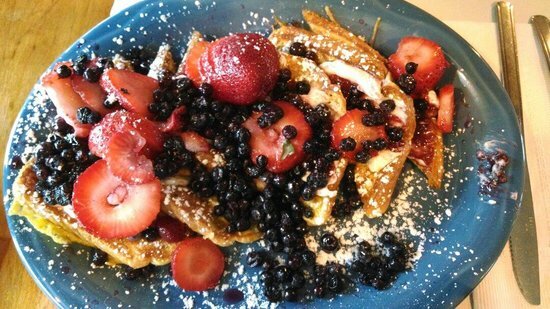 each breakfast is made with the freshest meats, cheeses, fruits and vegetables. 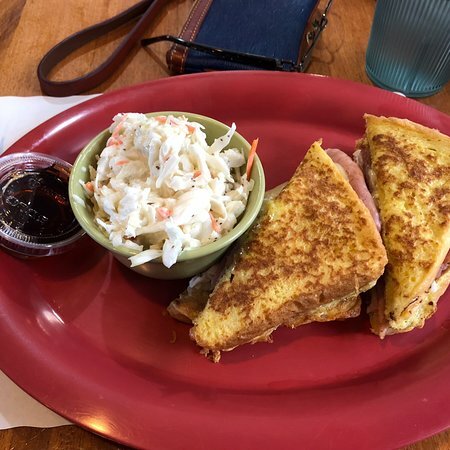 at grumpy's we understand that great tasting dishes can only be created by using the best ingredients. Enjoy a taste of the South West, 2 Scrambled eggs, sausage, onion, pepper, salsa and cheddar with choice of home fries, hash browns or baked beans. 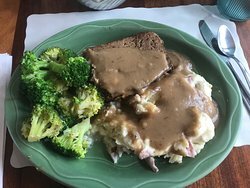 For the hearty appetite, tender steak tips served with 2 eggs, toast and a choice of home fries, hash browns or baked beans. 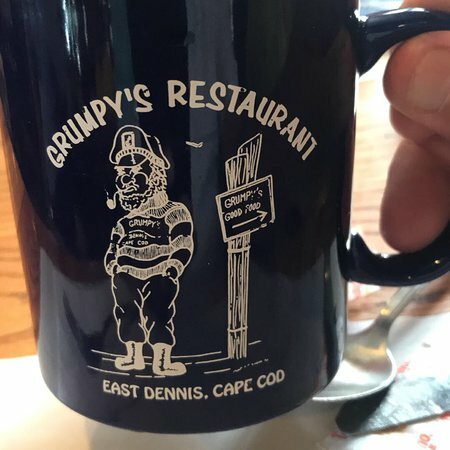 A genuine cape cod breakfast, homemade fishcakes with 2 eggs, toast and a choice of home fries, hash browns or baked beans. Delicious home-style quiche served with a choice of home fries, hash browns or baked beans. This open-faced omelette is created with fresh onion, tomatoes, spinach, broccoli, scallions and cheddar cheese, served with toast. Two scrambled eggs on top of a hash filled potato, covered with Hollandaise sauce and a fruit garnish. A super way to start your day, 2 eggs over medium on top of a grilled slice of ham. 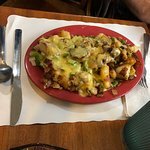 topped with American cheese, toast and a choice of home fries, hash browns or baked beans. 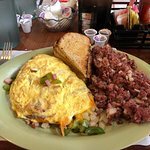 Two scrambled‏ eggs, onions, peppers and ham, served with your choice of home fries, hash browns or baked beans. Un de nos nouveaux endroits préférés! Nous sommes allés à Grumpys 3 fois ces vacances! Chaque repas que nous avons commandé était énorme, rapide, frais et délicieux! Nous reviendrons! Les portions étaient de bonne taille et le service était sympathique mais la nourriture n'avait pas beaucoup de goût. Leur hasch mondialement connu était carrément fade. La galette aux pommes était bonne mais mes œufs brouillés n'étaient pas cuits. J'ai eu la saucisse sucrée, omelette au fromage. Très bien. De plus, j'ai eu le muffin aux bleuets grillé. Délicieux! Le service était sympathique et efficace. Nous ne nous sommes pas précipités. On n'a pas mangé à l'hôtel, mais je n'ai pas été impressionné. Les options sont basiques mais les frais était un peu plus élevé que ce à quoi je m'attendais. Notre petit-déjeuner continental gratuit en face était mieux. En été il y a aussi une ligne pour aller dans ce petit mais la ligne se déplace rapidement. La cuisine est faite avec des produits frais et c'était super ! Les prix sont raisonnables. Le restaurant fermait à 14 h tous les jours. Super petits déjeuners et déjeuners sur la baie. Le meilleur petit déjeuner sur le camp ! Super service rapide. Bon rapport qualité/prix sont les portions sont grandes. Tout du début à la fin. Le parking juste. Toujours plein à craquer. Obtenez des réponses rapides du personnel et personnes ayant visité le Grumpy's Restaurant.